Two types of standard sewer and vent pipes are generally installed in homes: PVC, and ABS (Acrylonitrile Butadiene Styrene) black plastic. Where PVC uses both primer and cement to create a strong coupling joint, ABS pipe only needs cement. Both types of pipe joints are extremely tough and durable when the cement has dried, which under normal conditions, takes only a few seconds. 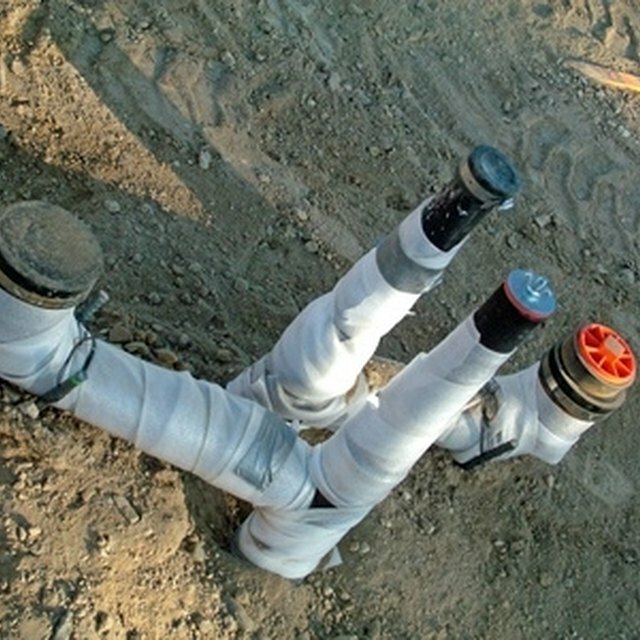 Though special cement can be used to form a joint between PVC and ABS sewer pipe, a flexible rubber coupling should be used to allow for temperature-change expansion between the two types of pipe. Scrape away burrs from the pipe end using a utility knife. Mark the ABS/PVC pipe at the location where the other type of pipe needs to be attached. Cut through the pipe at the mark using a hacksaw or handsaw. Use a portable power saw to make a cleaner cut, or even a powered miter saw. Make the cut straight (at 90 degrees to the pipe), and scrape away plastic fragments or burrs using a utility knife. Wet the end of the pipe, and push a flexible rubber coupling halfway onto the pipe. Cut the other type of pipe to size, and remove burrs. Wet the end of the pipe and push it into the other end of the rubber coupling. The coupling will be half on one pipe end, and half on another. Secure the rubber coupling to the pipes by using a screwdriver to tighten the hose clamps surrounding each end of the coupling.